Electronic payments, whether you use a credit or debit cards, a check or even an electronic transfer, requires the use of a proprietary network to pass vital information between banks and merchants in order to transfer funds. These networks are owned by a web of financial institutions from banks to payment processors and while functional, have a few issues such as incompatibility issues between different networks and an increased cost to use these private networks. These are the key driving forces behind the rise of Bitcoin, the virtual currency that has been making waves for several years now. But, what is Bitcoin and why should you be investing in it? Bitcoin is a digital currency that is currently being exchanged online for the past several years. While Bitcoin certainly isn’t new, it has really started gaining popularity over the past few years and has started to show mainstream traction. Bitcoin is now an accepted payment type for several large online retailers such as Overstock.com, Amazon, and Expedia, as well as a handful of brick and mortar establishments such as Tesla and Target. Its popularity is increasing daily among retailers all over the world. The main reason behind using Bitcoin to pay for purchases and such is that it is a significantly cheaper and quicker way to do business. You basically get more for your money. You also get more for your investment activities. The value of Bitcoin is completely independent of the dollar. This means that not only can you realize an increase in value thanks to the ever-increasing use of the currency, you can realize it, even in the face of economic weakness. You may even be able to see an increase in the value of your portfolio as Bitcoin values may increase during weakening economic times as investors flock to it as a way to escape other, more dependent investments. Think about it, a $200 investment in Bitcoin in 2011 would be worth well over $1 million USD today. That’s over 500,000% return in just a few years. Bitcoin may just be the ultimate investment vehicle. Its value does not depend on the strength of the dollar or the robustness of the economy for its value, and it can provide you with a better hedge against loss than even gold or silver. Bitcoin does have some volatility associated with it. However, this volatility has only served to make those already invested in it even wealthier than they thought they could be. If you are looking for something different to get invested in, Bitcoin may just be the answer you have been looking for. And a Bitcoin IRA serves as the perfect vehicle for your investment activities. 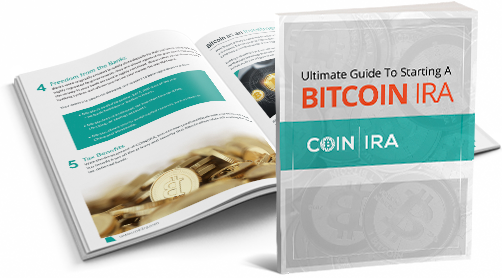 A Bitcoin IRA is a version of a self-directed IRA that offers you all of the benefits of a typical retirement account with the ability to invest in Bitcoin. You should be aware that all of the usual IRA rules and regulations still apply in terms of tax responsibilities a well as distributions. If you have questions or are ready to get started, please reach out to us today. Please do not use special characters or numbers in name fields.